NOTICE:- The form is only for registration. 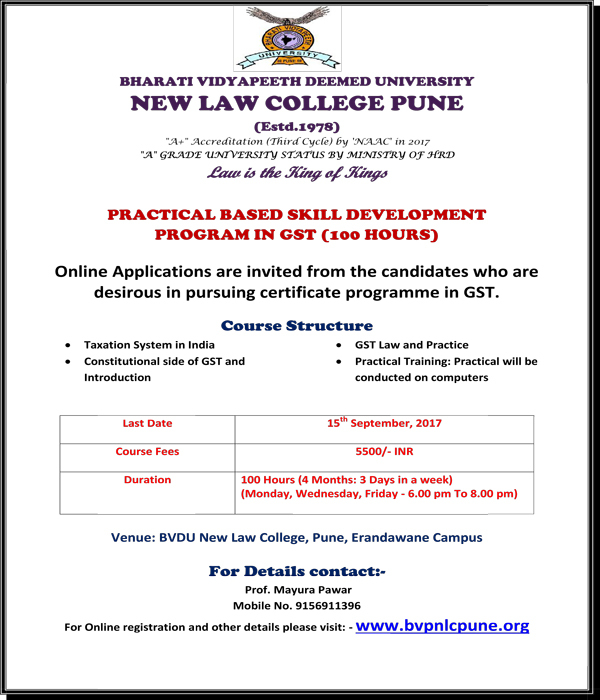 Admission will be confirmed only after deposit of fee of Rs 5500/- either in cash or in form of Demand Draft in favour of Principal, New Law College, Pune. No instalment facility is available. The challan can be collected from the office of New Law College during working hours. Last date of payment is 15th September 2017.